The Iowa Housewife: Cheap. Fast. Good! Cheap. Fast. Good! 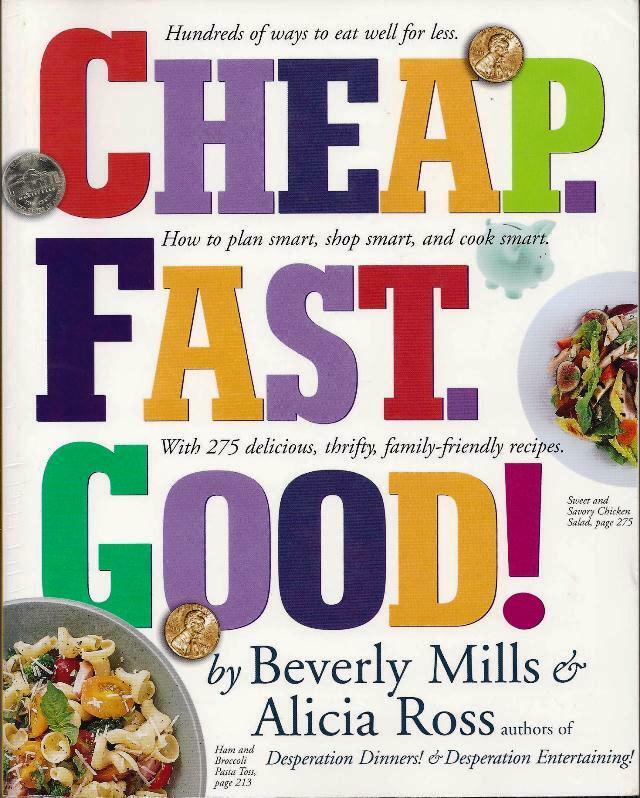 Is an encyclopedia of good ideas for eating well but in a thrifty way. It’s up-to-date for younger cooks, but we found plenty to recommend it as well. This is a book I would consider for a wedding or shower gift depending on the couple. The recipes give you lots of suggestions and hints to make them easier and add variety to your meals. We think cooks who only know how to cook from the package directions will benefit the most from a book like this. 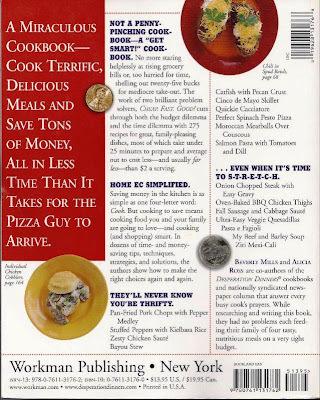 The authors wrote the Desperation Dinners cookbooks, and they know their stuff. I like a lot of their tips for getting the preparation done FAST…tips that even experienced cooks don’t always know or forget to practice. They cover lots of ways to cook more cheaply…they explain how to cut up your own chickens, and how to slow-cook meats to portion out and freeze, ready to use for quicker suppers. They talk about cutting down on waste in the kitchen, how to shop smarter, and how to get off the fast-food treadmill. They cover couponing – from two different perspectives – and how to cook for a family on less than $100 a week. 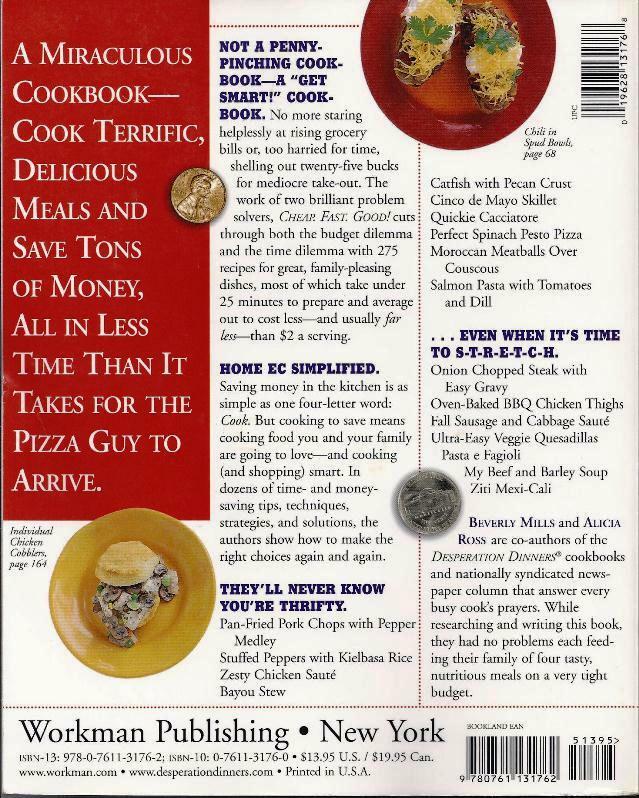 And the recipes aren’t boring canned soup casseroles – I think that’s the best thing about this book. Here are a variety of recipes from this great book!